wounded. His captor, a demon in service to a summoner who wants Harker alive. “Kitchen Witch” named Momma Dee, Harker fights back. itself, and I could pull my thoughts together. were whispering to one another across the room, turned to face me. I know which one is the smart one. For me, it came as a natural extension of being an enthusiastic reader. Peering into the minds of authors, through the worlds they created, inspired me to develop stories of my own. Writing has been an active and core part of who I am and what I want to do with my life. Even in my career, I chose positions that focus on an ability to communicate effectively with the written word; including technical writing, instructional design, freelance writing, and ghostwriting projects. I’m not sure there was a conscious decision on my part. I have always wanted to be a published novelist. As part of my career, I wrote and published several non-fiction works, but it was never quite enough. Writing, editing, and publishing a novel is somehow a more personal experience. My hope is they enjoy the story, connect with the characters, and turn into fans. The themes in my work are not groundbreaking, but I hope readers see the uniqueness in the telling. 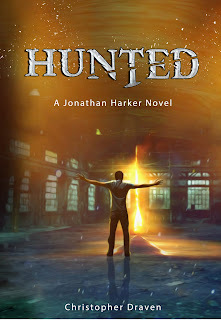 There is an intrinsic sense of accomplishment that came along with releasing Hunted. However, the most rewarding part of writing is the reader interactions. For years, I have chatted with fans of other authors. We talk about the story, characters, premise, and more. Yet, it’s always about someone else’s book. 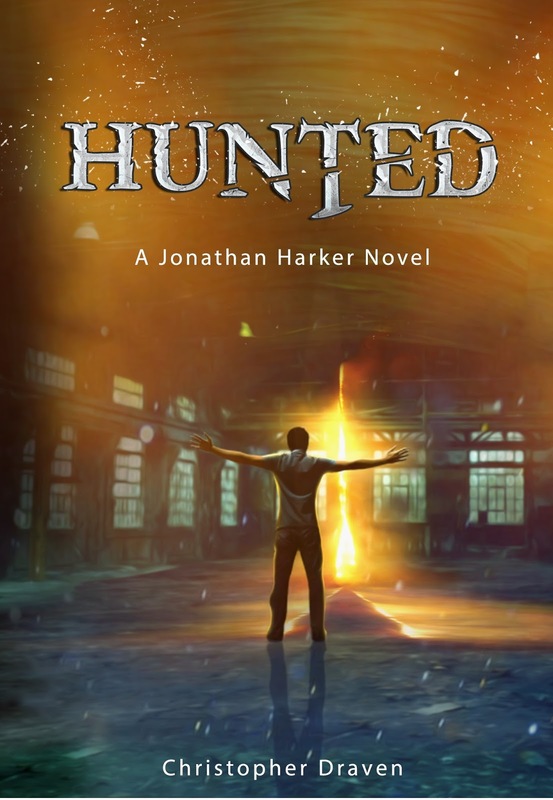 It is fascinating to chat with readers about Jonathan, Clover, Cresh, and the others. For the first time, the reader sees my story, and we can discuss it together. For years, I wrote exclusively in nonfiction. The style is very different. In Non-Fiction, a writer is explaining the facts of a situation or steps in a process. Flowery language is usually a distraction. Thus, I developed a sort of frugality with words. Creative writing is completely different. You want to include a fair amount of exposition and description. You are spinning up something from nothing but words. It is vital that you learn how to bring the reader along with you. Do it! If you are passionate about writing, then write. If you are passionate about scuba diving, then dive. Don’t allow your self-doubt to stop you. Unless your self-doubt is asking if you filled your oxygen tanks – if so, then just double check before you jump off the boat. 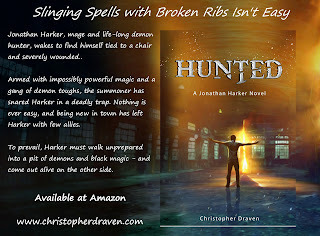 If a reader has questions about the book, you can always reach out on Facebook (https://www.facebook.com/WriterDraven), Twitter (@WriterDraven), or email (info@christopherdraven.com). an instructional designer, newspaper journalist, and ghost writer. 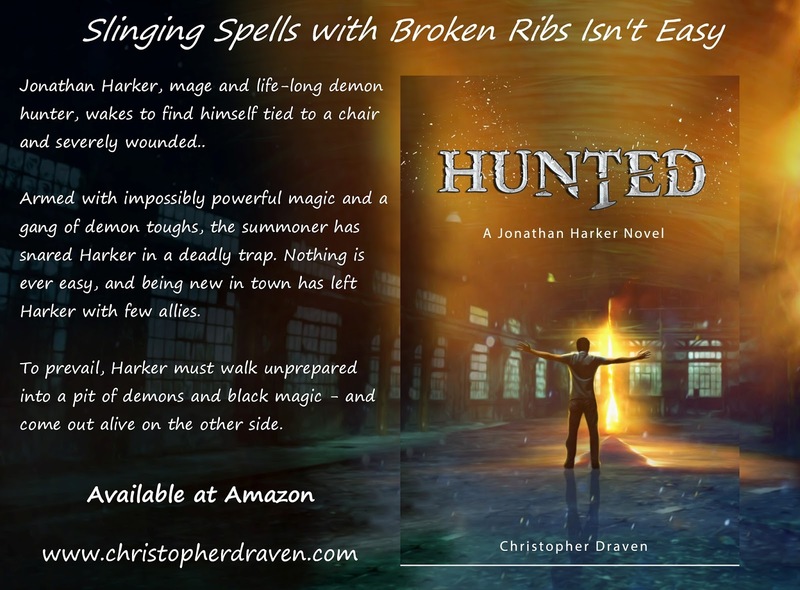 fateful day, Christopher has focused on learning the craft of fiction. was Christopher’s debut, and his best friend said it was swell.